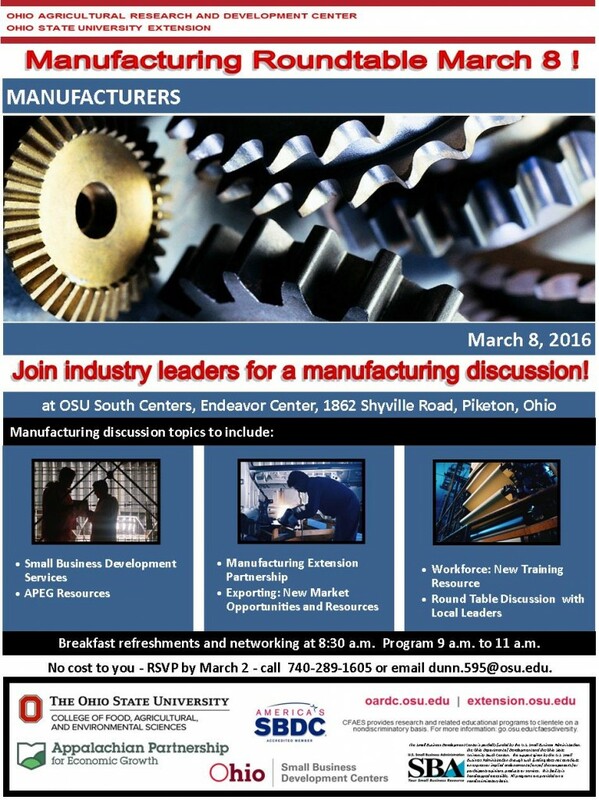 If you haven’t already done so, register now for the March 8 Manufacturing Roundtable located at OSU South Centers in Piketon, Ohio. 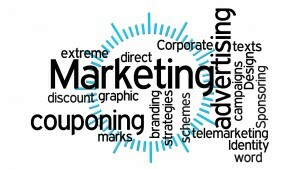 The direct marketing blog brings you the latest marketing news and trends as well as training opportunities. Having trouble keeping up marketing your business on social media? Join us to learn free and low-cost tools to assist you in managing your on-line presence to maximize your business opportunities. Learn practical tools, trends, and strategies for 2016. This session is brought to you by Ohio Proud and OSU Extension. There will be 4 locations to choose from, each location will be held from 9 AM—1 PM. The cost is $15 per person. For a copy of the flyer with more details and registration information, go to: http://go.osu.edu/2016marketing. Successful business owners and managers know all too well the danger of trying to tread the proverbial waters of efficiency, quality, production, and skill levels. If you are successful it is because you have realized you must constantly and consistently strive to greater heights and improve in every possible aspect of your company. Satisfaction should be the carrot dangling that is always in sight but never achieved. Continuous Improvement is a powerful tool and mind-set that allows not only decision makers, but all levels of workers, to feel invested in the process, process improvement, and ultimately the finished product or service provided. For more information and a great article on Continuous Improvement follow the provided link and begin thinking of new, and maybe often overlooked, ways you and your company can improve. In our world of technology and uncertainty, it is vital to take action to develop a security plan for every part of your business. To address this need, the University of Rio Grande, the Ohio State University South Centers, and the Ohio Valley Bank are offering the Business Security Forum — to provide expert instruction on business security. 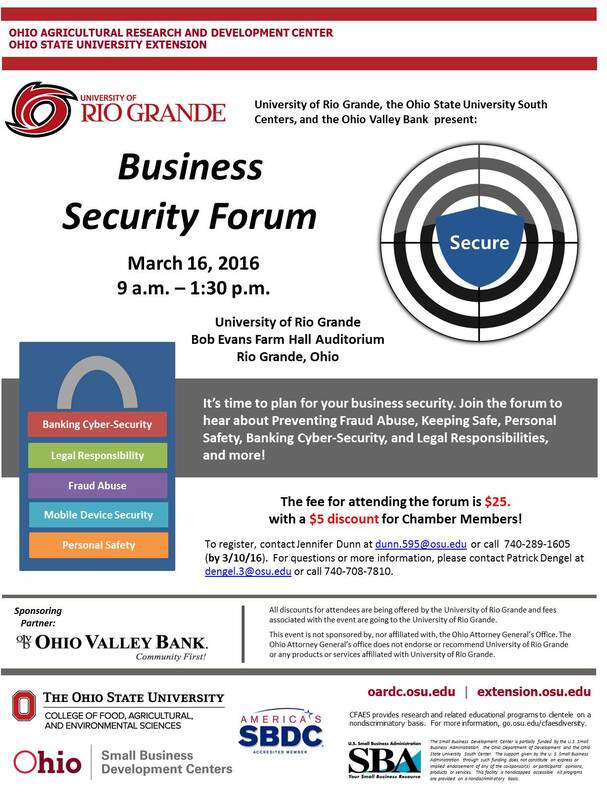 Register now for the March 16, 2016, Business Security Forum located at the University of Rio Grande to learn about Identity Theft, Consumer Rights, Scams, Active Shooter options, Cyber Security, Legal Responsibility, and much more. The cooperative business model is perhaps best known in the world of food and agriculture. In 2014, 52 of the top 100 revenue generating cooperatives in the United States were agricultural businesses and 13 were grocers. Here at the Ohio Cooperative Development Center, the vast majority of our work involves agriculture and food co-ops. However, the co-op model, which is centered on mutual ownership and democratic control, is not exclusive to food and agriculture. Co-ops can be developed for a variety of reasons because a group can more effectively fulfill a need or solve a problem than can individuals. 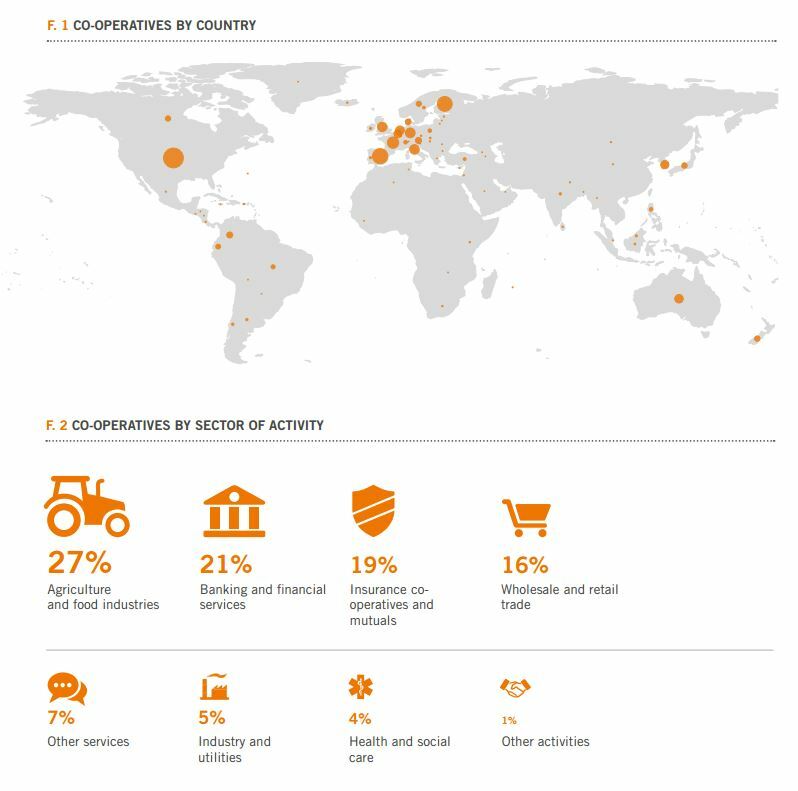 This means the co-op business model can be adopted across sectors and even geographies. For instance, there are co-ops in the U.S. centered around bicycle repair and education , immigrant women’s cleaning businesses , funeral services , and even printmaking. In fact, a look at the 2015 NCB Co-op 100 list by the National Cooperative Bank, which highlights co-ops in the U.S. by revenue and assets, reveals businesses in healthcare, hardware, finance, recreation, energy/communication, and distribution. This graphic below by the World Cooperative Monitor highlights the cooperative model globally. 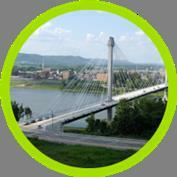 Apply for the Ohio Appalachia Export Grant (AEG) today! Appalachian Ohio companies can receive up to $5,000 in reimbursement to promote their products and services in international markets. Since I have been a freelance consultant for a while, and I am interested in maximizing my credit card rewards, I have made the decision to maximize the rewards I earn on both personal and business expenses. Although it can be tricky to keep it all separate, several strategies I employ make the process a whole lot easier. 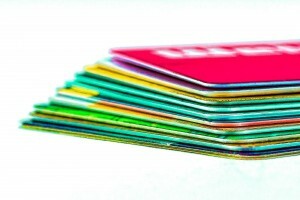 As we have seen most rewards credit cards offer bonus rewards in certain categories of spending. I sought out a business credit card that earns more points in categories that my personal rewards credit card does not. For me, Chase has the best combination of personal and business cards on the market right now. For business, I use my Chase Ink Bold®, which earns 5x points on cell phone service, internet service, landline service and office supply stores plush 2x points on gas and hotels. I pair that card with my personal Chase Sapphire Preferred®, which earns 2x points on travel and dining. I put all of my gas and hotel stays on my business card even if it is for a family trip. This way I earn 2 points per dollar which is better than if I used my personal card. I also put my internet service on my business card so I earn 5 points per dollar even though most of that service is personal, and only a portion gets deducted based on my home office square footage. If I am out to eat with a client, a business expense, I use my personal Chase Sapphire Preferred® instead of my Chase Ink Bold® because I earn double points with the Sapphire Preferred®. If I spend on an item outside of any of these bonus categories, I still earn 1 point per dollar, so I’m always earning. What I like about these two cards is that they are both on the same rewards platform so I am able to combine the points where I wouldn’t if I paired a Ink Plus® Business Credit Card with the personal rewards card from American Express. Two added advantages of the Chase Ultimate Rewards platform are transferring points and redeeming points for travel. Both the Ink Plus® Business Credit Card and the Chase Sapphire Preferred® transfer points to frequent flier partners on a 1:1 basis AND both cards’ points are worth 25% more when redeemed for travel through the UR platform. The result is that when you have the same rewards platform, you have added flexibility to combine and redeem points. If you have business and personal cards on different networks, you’re doing yourself a disservice. Because I combine my expenses, I have developed a great system of tracking, keeping notes and accounting for which expenses are business vs. personal. This approach is not for the faint of heart. You need to keep up on tracking these expenses at all times. 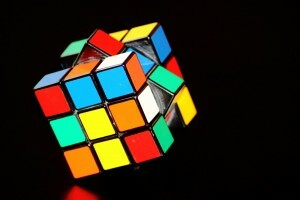 If you fall behind it can be a nightmare to sift back through your calendar, credit card statements and memory to put the right pieces of the puzzle together. First, Jot from Chase Business is great. I can tag expenses and take pictures of receipts. The only tag I really use is “Business” to denote a business expense I want to transfer to my accounting software. For my personal card I use Expensify. This is essentially the same thing as Jot, but you can use it for any expense whereas Jot only works with your Chase business credit card. With Expensify, I take a picture of my receipt only for purchases I want to use as business expenses. Expensify saves each receipt and any information I manually input. I then transfer these expenses to my accounting software at the end of each week. I use Quickbooks for all of my accounting, which lets me keep detailed notes on all my expenses. Once I transfer my expenses, I make sure to add each receipt picture to my digital tax files, so I can back up any expense easily if I ever face an audit. 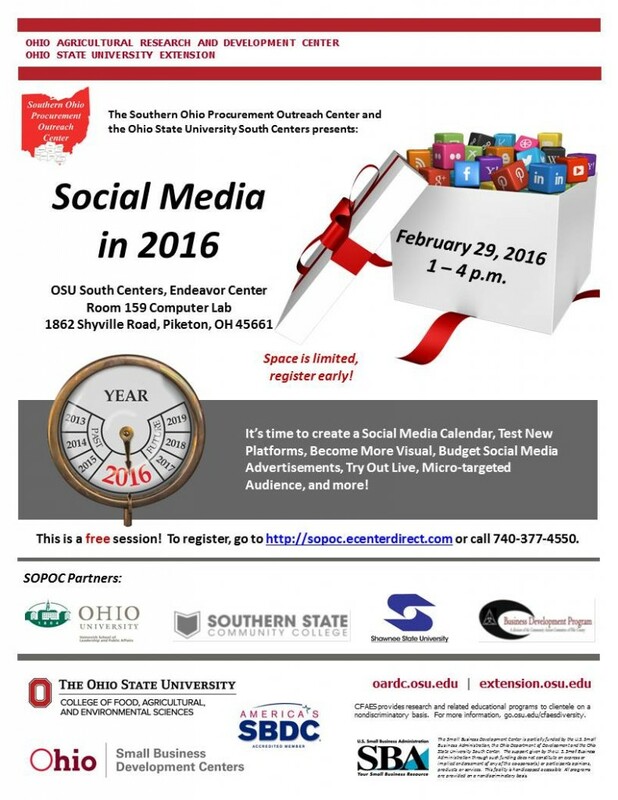 Social Media in 2016 on 2-29-2016 from 1 to 4 p.m. at OSU South Centers, Endeavor Center, Room 159, 1862 Shyville Road, Piketon, OH 45661. FREE! Space is limited! Register now at http://sopoc.ecenterdirect.com or call 740-377-4550 to preview what will stand out in social media marketing for 2016. Calling all southern Ohio Manufacturers in our service area of Adams, Brown, Gallia, Highland, Jackson, Pike, Ross, Scioto, Lawrence, and Vinton counties!!! On March 8 from 8:30 to 11 a.m., join industry leaders for a Manufacturing Roundtable Discussion to learn about SBDC Services, APEG Resources, MEP, Exporting, Workforce Resources, and much more. OSU South Centers in Piketon, Ohio, will offer this opportunity periodically to keep manufacturers informed about current and upcoming resources to benefit industry growth and sustainability. Attend at no cost to you! Please RSVP by March 2! 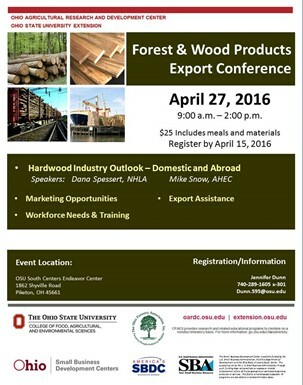 To register, call 740-289-1605 or email dunn.595@osu.edu; or for more information, email Mick Whitt, director of MTSBDC at whitt.124@osu.edu.